Recently, MSM finalized a four session tailor-made training for the Palestine Trade Centre (PalTrade) aimed at strengthening the capacity and service delivery of PalTrade. The training was funded by Nuffic. PalTrade is a non-profit, membership based organization with a national mandate to lead the Palestine development of exports as a driving force for sustainable economic growth. PalTrade provides a wide range of export support services in the areas of export development and market intelligence, export promotion, and export policy and advocacy. The first part of the tailor made training program aimed at supporting PalTrade senior management in what can be done to develop PalTrade into a more entrepreneurial and innovative organization. MSM helped the PalTrade team to assess current entrepreneurial characteristics both at the individual and organizational level and to define next steps to enhance the entrepreneurial eco system at PalTrade. Furthermore, the first session was meant to provide best practices and benchmarks with similar like organizations in the Netherlands and in Belgium. MSM has a long and outstanding track record in organizing exposure visits to challenge current managerial perspectives and provide new ideas and approaches. For the PalTrade team, MSM organized exposure visits to Flanders Investment and Trade (FIT) and Brussels Invest & Export (BIE) in Brussels. Also, the PalTrade delegation had the opportunity to meet representatives from the Centre for Promotion of Imports from Developing Countries (CBI) and from the Netherlands Enterprise Agency (RVO) in The Hague. Other sessions were delivered on location in Palestine and were aimed at PalTrade middle management and operational staff aiming at various elements of the PalTrade organization. With respect to PalTrade service delivery market reports and sector profiles were developed and made available through the PalTrade website (e.g. market report on potential markets for tomoatoes). Also, video animations were developed to support the written reports. Internally, the client organization was supported in developing Standard Operating Procedures (SOP) and in reviewing the current Customer Relationship Management (CRM) system. 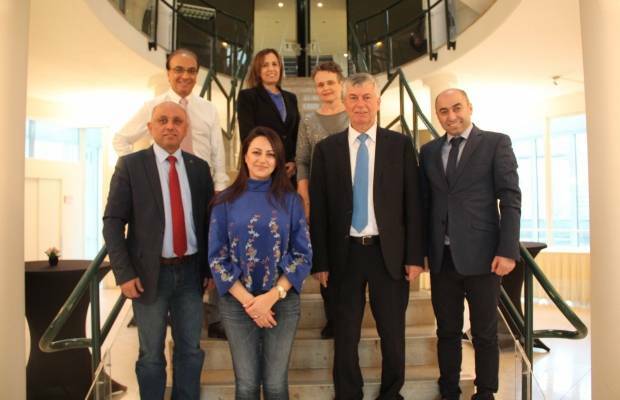 MSM cooperated with Globally Cool from Leeuwarden in the Netherlands, specialized in capacity development of trade and export promotion organizations to successfully deliver the tailor made training. The training was made possible with help from the Dutch Ministry of Foreign Affairs through Nuffic NFP (Netherlands Fellowship Program).